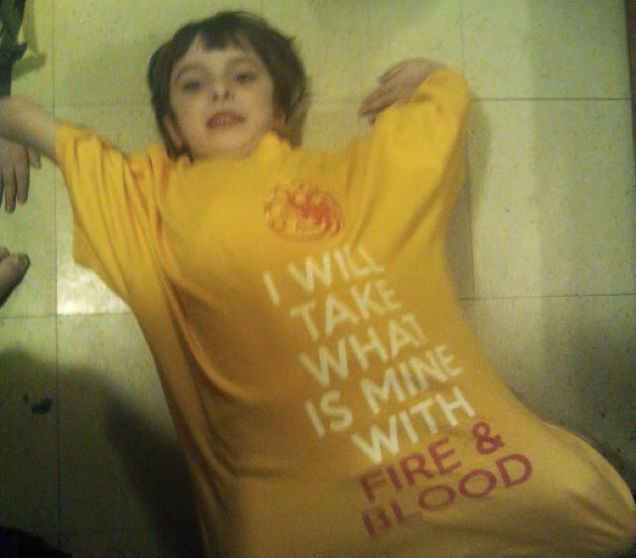 A popular community college professor was suspended after posting a photo of his daughter wearing an oversized T-shirt bearing a tagline from this season of Game of Thrones—Daenerys Targaryen's "I will take what is mine with fire and blood." 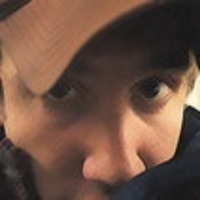 Francis Schmidt, who teaches art and animation at Bergen Community College in New Jersey, shared the photo on Google+, where it was seen by several of his work contacts. One of them, a dean, decided the shirt was a veiled threat of some kind. The faculty union is currently in conflict with the school administration over promotions and tenure, and recently registered a vote of no-confidence against the school's president. Schmidt himself had just filed a grievance after being denied a sabbatical. That may explain some of what happened next. According to Inside Higher Ed, Schmidt got an email over the weekend from Jim Miller, Bergen's HR director, calling him into an immediate meeting with administrators about the alleged "threatening email." At the meeting, Schmidt explained the shirt in the context of Game of Thrones and showed Miller that the "fire and blood" tagline has 4 million results on Google. The professor asked why his photo had caused such a reaction, and was told that "fire" could be a metaphor for "AK-47s." Schmidt was placed on administrative leave without pay later that week, and told he would have to pass a psychiatric evaluation before he could return. He says he passed that same evaluation in 2007 after being diagnosed with depression. "The referenced incident refers to a private personnel matter at Bergen Community College. Since January 1, 2014, 34 incidents of school shootings have occurred in the United States. In following its safety and security procedures, the college investigates all situations where a member of its community – students, faculty, staff or local residents – expresses a safety or security concern." Research has yet to establish a link between support for the Mother of Dragons and likelihood of shooting up a school.